Photograph shows Constables appointed to Hertfordshire Constabulary on 18th July 1927. Initial details were taken from a handwritten note attached to the photograph, since corroborated by other documents and known dates of appointment. 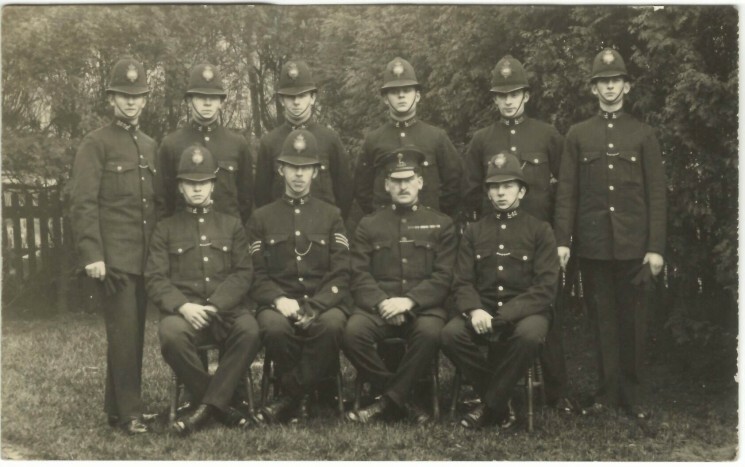 PC 82 Bernard Stanley WADE – Appt 16/7/1927 – Ret’d 16/5/1941 due to injury on duty, resulting in total disability.